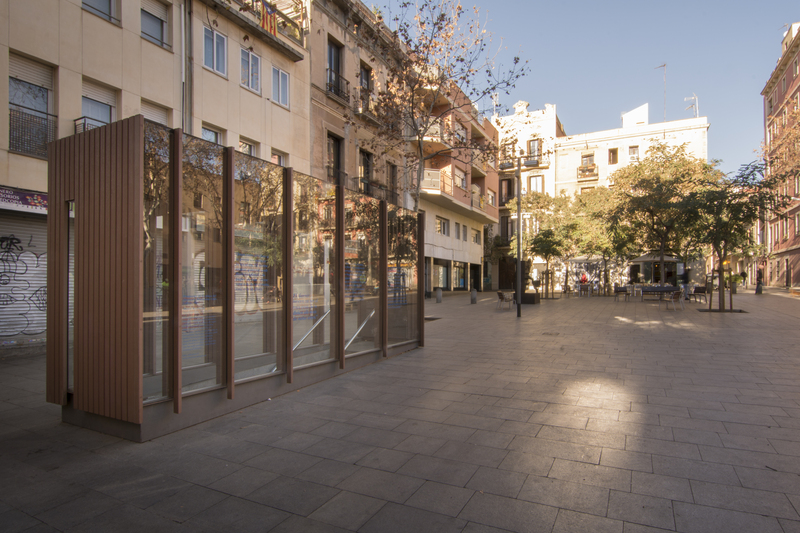 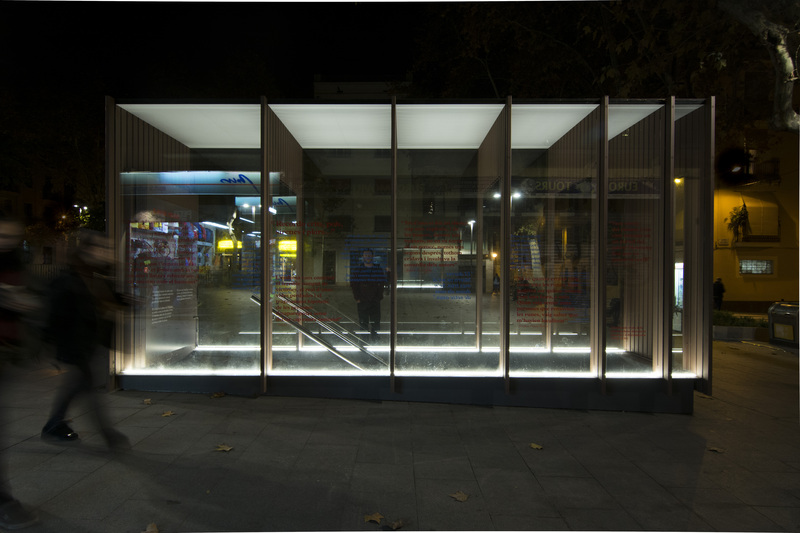 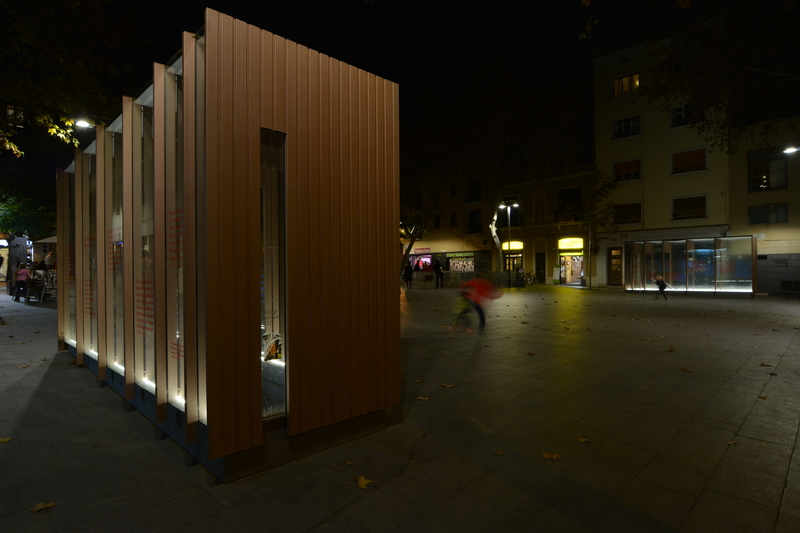 The new accesses to the Air Raid Shelter in Plaça del Diamant are conceived to be remembrance and ‘memory-access’ elements. 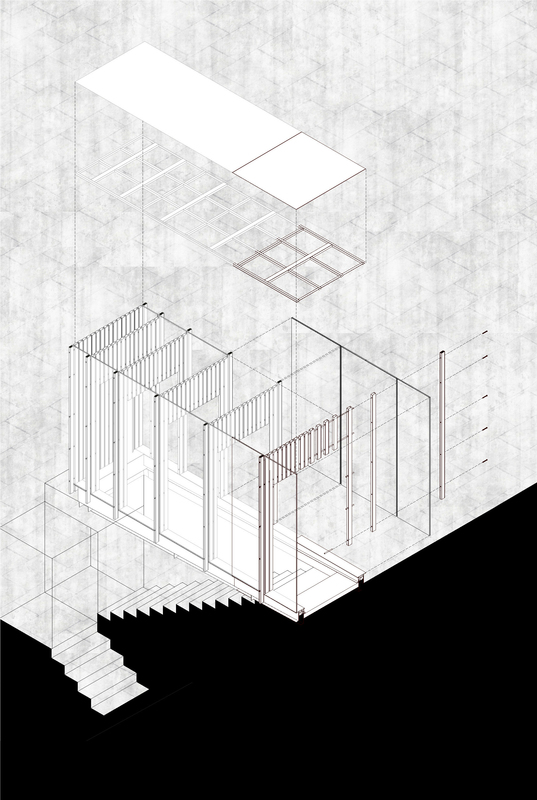 In the cross direction, transparency takes the lead and allows to see stairs going down to the shelter. 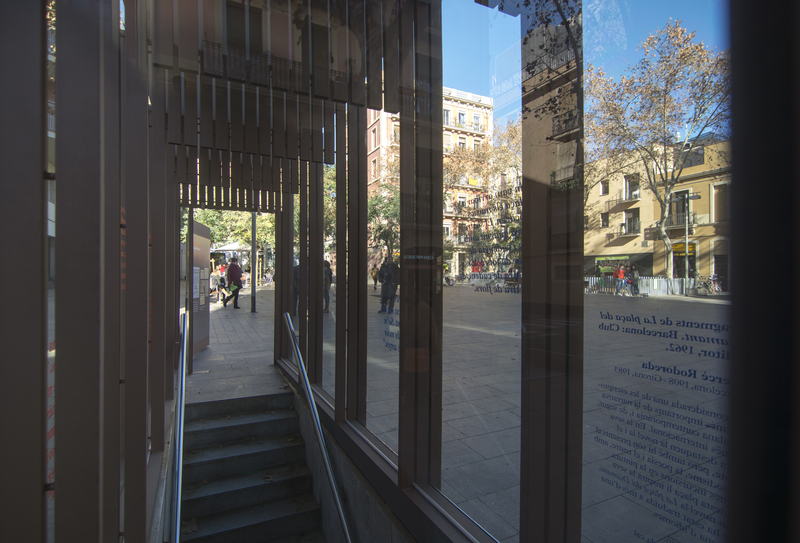 At the same time, the glasses show testimonials from air attack survivors, which get blended with excerpts of In Diamond Square, by Mercè Rodoreda. 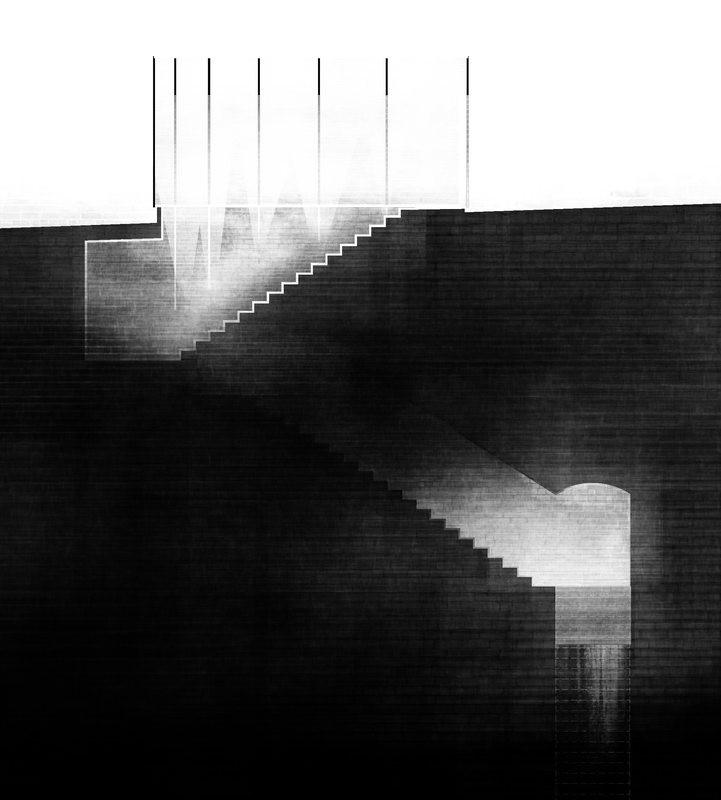 In the longitudinal direction, a series of levels must be crossed to go down to the shelter. 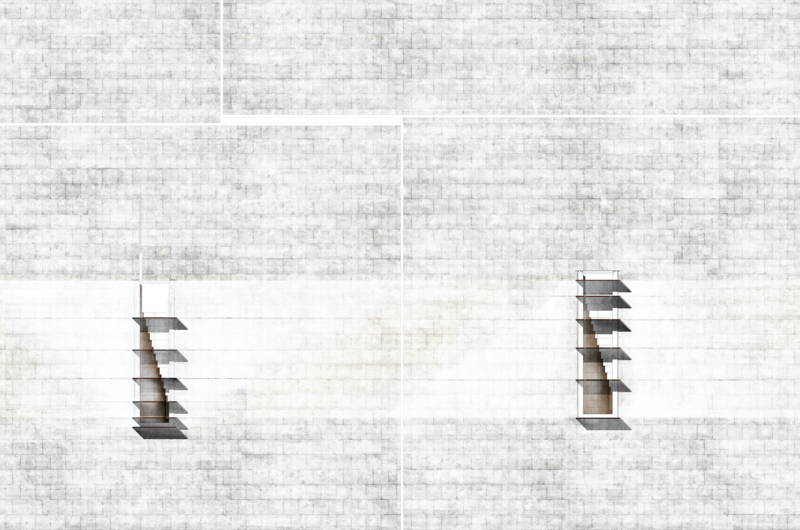 These levels, built from an addition of tubes separated between each other, let us understand that visiting history is about going through stratified memory layers, but they are not hermetic, as they cannot be understood one without the other.